When we at HPCL review the past decade, we find many reasons to Smile. Change is the only constant. We at HPCL believe in this and have implemented new ideas, set high ideals and have evolved over the years. And in the process, we have contributed towards a modern, stylish and technologically advanced Retail Outlets in India. 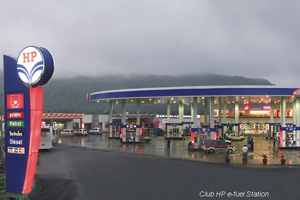 In 2002, we introduced Club HP, a feel good brand, with the promise of Outstanding Customer and Vehicle Care. With this move, we became pioneers of Branded Retail Outlets in India. In 2003, we assumed a new Retail Visual Identity which is the best in the Country. Our aim was Customer service and satisfaction and we put this into practice with the idea of New Retail Outlet Formats that were developed in the year 2006.These formats were specifically designed to cater to needs of the various customer segments. We understood that improvement and enhancement helps create competitive advantages and increase efficiency. The year 2008 was the year for Leveraging Technology for us. Hence we created e-fuel stations. As part of progression in technology NANO concept was launched in 2009 (No Automation, No operation). There are around 2000 automated Retail Outlets in the country setting high standards in customer care. In 2010, we have introduced Standard Operating Practices in order to standardize the operations, safety procedures and customer care across the country. Our Loyalty program is a rich and value based initiatives in customer care which guarantees special benefits and conveniences to the satisfaction of valued customer's .We have now created a premium brand in the name and style of Club HP Star for retail outlets. The unique value proposition for this premium brand is quick service. The customers will be treated like stars in these premium outlets which are also automated outlets. This journey of transformation was not only exciting, but also rewarding. HPCL has won the coveted Reader's Digest Trusted Brand Gold Award 2013 for the eighth consecutive year, thus strengthening the customer's trust towards our 13000 outlets. We have also won Star Retailer award for the last seven years. The awards we received were recognition of our initiatives and accomplishments in Branding, Loyalty & Marketing. Tomorrow belongs to those who prepare for it today. At HPCL, we believe in the maxim: Think big, dream big and achieve big. We are the future - a future full of energy. Please provide the following details. We will send you your password on your email address registered in DriveTrack Plus system. This campaign is open to all HP Re-Fuel Customers. The mere participation in the campaign implies acceptance of terms and conditions of the campaign. Customers can download HP Re-Fuel App thru Google Play / Apple Store or Web Portal www.hprefuel.com and are advised to go through Terms & Conditions. This campaign is applicable on purchase of Petrol, power, Diesel, TurboJet, Auto LPG, CNG and HP GAS Cylinder thru HP Re-Fuel Loyalty Program such as HP Re-Fuel Card, Cardless, QR Code and Paycode. TThis campaign will commence at 00:00 hours on Jan 01, 2019 and closes at 23:59 hours on Mar 31, 2019. Customers can Earn 1 Litre free fuel instantly on purchase of 5 Litre or more fuel thru HP Refuel in a single or multiple transactions per month, subject to maximum of Rs 75/- pm. Customers can get Additional 1 Litre Free Fuel instantly on Payment of HP GAS Cylinder for one or more Refills thru HP Re-Fuel App during Campaign months, subject to maximum of Rs 75/- pm . if a customer buys 2 Litres of Petrol at thru HP Refuel on 10th November 2018 and 3 Litres of Petrol thru HP Refuel on 21st November 2018, he will be eligible for free fuel of 1 Litre petrol which will be credited to his reward account in the form of FLAT 300 PAYBACK POINTS on the same day i.e 21st November 2018.
if a customer buys 2 Litres of Petrol on 10th November 2018 and 3 Litres of Diesel on 21st November 2018, he will be eligible for free fuel of 1 Litre Diesel which will be credited to his reward account in the form of FLAT 300 PAYBACK POINTS on the same day i.e 21st November 2018.
if a customer buys fuel at various outlets of HPCL as 2 Litres of Petrol @ Rs 77 per Ltr thru HP Refuel on 10th November 2018 and 3 Litres of Petrol thru HP Refuel @ Rs 76 per Ltr on 21st November 2018 , he will be eligible for free fuel of 1 Litre petrol which will be credited to his reward account in the form of FLAT 300 PAYBACK POINTS on the same day i.e 21st November 2018.
if a customer buys fuel at various outlets of HPCL as 2 Litres of Petrol @ Rs 74 per Ltr thru HP Refuel on 10th December 2018 and 3 Litres of Diesel thru HP Refuel @ Rs 72 per Ltr on 21st December 2018 , he will be eligible for free fuel of 1 Litre Diesel which will be credited to his reward account in the form of FLAT 300 PAYBACK POINTS on the same day i.e 21st December 2018.
if a customer pay for HP GAS Cylinder thru HP ReFuel App. on 20th November 2018, he will be eligible for free fuel of 1 Litre petrol which will be credited to his reward account in the form of FLAT 300 PAYBACK POINTS on the same day i.e 20th November 2018. To know more about Payback, please log on to www.payback.in . Cash in lieu of points will NOT be given. Membership to the HP Re-Fuel Program shall be at the sole discretion of HPCL. In case of loss of the card / forgotten User Name / Password, Customers are requested to download HP Re-Fuel Mobile App. Thru Google Play or App Store and Click Forgot Password to generate User Name and Password. 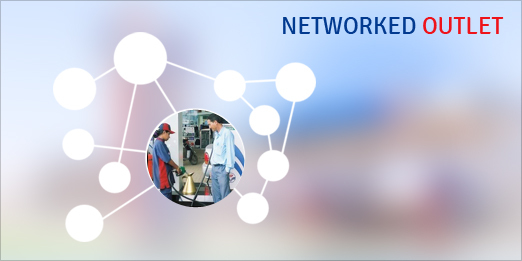 HPCL shall not be liable for problems faced by the customer while using HP Re-Fuel on account of poor or bad or no network connection or due to any other reason, though reasonable attempts will be made to rectify the issue. Fuels will also be available for purchase without participation in this campaign. No correspondence will be entertained with regard to the campaign. Disputes if any will be subject to Indian laws and shall be subject exclusively to the jurisdiction of the courts in Mumbai. HPCL reserves the right to change, amend, extend and cancel the campaign or any part thereof without any prior notice or giving any reasons. HPCL reserves the right to reject any transactions which found suspicious and the same will not be considered for calculating campaign rewards. Participation in the campaign will be treated as void wherever such campaigns are prohibited under local laws. The decisions of HPCL regarding this campaign are final, binding and non-contestable. No queries, clarifications and suggestions will be entertained on the modality of calculation of reward points which would be entirely at the discretion of HPCL. Any business entity or individual with a fleet size of minimum 3 vehicles can enroll into the DriveTrack Plus®program. Corporate customers with gifting or fuel requirement for their vehicles and / or employees can also enroll into this program. The program is also convenient and useful for non-fleet customers with regular bulk fuel requirements for their machines, equipments, DG Sets etc. Any individual designated by the member for using the DriveTrack Plus®Card must be above18 years of age. Fleet can comprise all types of vehicles with 4 wheels and above (not applicable for non-fleet customers). The user card for the fleet customer shall be vehicle specific. For fleet customers with attach vehicles, cards will be generic in nature. For corporate customers, it shall be employee specific or vehicle specific, as desired by Corporate. For all non-fleet customers, generic cards will be issued. The DriveTrack Plus® fleet card can be used for the purchase of products and services available at participating HPCL fuel outlets. The application form will be invalid if it is incomplete, unsigned or with incomplete documents. Membership to the DriveTrack Plus®program is at the sole discretion of HPCL. Applicants will receive their DriveTrack Plus®Fleet cards in 15 working days. In case of loss of card, replacement card can be issued on payment of Rs. 50 per card. The loss of the card should be immediately reported to the Customer Care Centre which will arrange to hotlist the card. However, HPCL will not be liable for any misuse whatsoever during the interim period. Any liability arising out of card loss, misuse or out of sharing User Card PIN/OTP, Control Card PIN or weblogin password consciously or otherwise, would render the member liable for all the losses. Recall of the Customer ID, Control Card PIN, User Card PIN, web login and password is the member’s responsibility. HPCL must be intimated in writing, following which it will disable the old passwords/PIN and issue a new one. All communication will be mailed to the member™s registered address /email ID / mobile number as per details given at the time of enrollment in the DriveTrack Plus®program. Registered address can be the mailing address as given in the application format at the time of enrollment for DriveTrack Plus®cards or to the address conveyed by the member from time to time as per standard procedure of change of address. Members are advised to keep their contact details updated. HPCL will not be responsible for any communication not received by member. DriveTrack Plus®card membership is valid for min. 3 years from the date of enrolment. Renewal of membership to the program is at the sole discretion of HPCL. DriveTrack Plus®Program will be in operation till such time as HPCL decides to terminate the program at anytime, with or without notice. Information provided by the member in the application form can be used by HPCL for marketing activities with due confidentiality. The DriveTrack Plus®card can be used only for the purchase of products/items activated for the card. HPCL reserves the right to grant or refuse membership to DriveTrack Plus® program. Customers with attached vehicles / aggregators shall indemnify HPCL against any claim of whatsoever nature raised by the owners of the vehicle. The user card must be loaded by members at any of the participating HPCL petrol pumps. Various limits applicable on purchases & other transactions through the cards will be as decided by HPCL. Every member is issued a Control Card and as many User Cards as the number of vehicles applied for enrolment in the program in respect of that member. A central account for Central Cash Management System (CCMS) is provided to member for effective management of the USER CARDs. The CCMS account can be recharged by various modes like NEFT, RTGS, Payment Gateway etc. Other modes of loading the CCMS account will be as allowed by HPCL and will be communicated separately. A transaction fee may be charged on CCMS transaction and will be decided by HPCL from time to time. In any case at any point of time, the amount loaded on to the card or CCMS account will not be refunded by HPCL. The currency of the reward program is called DriveStars™. DriveStars™ will be earned as per program rules, which can change at any time on sole discretion of HPCL. DriveStars™ can be redeemed in accordance of terms and conditions of the program. DriveStars™ will be valid for 3 years from the month of earning. DriveStars™ earned on any number of user cards owned by the corporate (one customer ID) will be clubbed. DriveStars™ can be redeemed for rewards only by the member or an authorized representative of the member. DriveStars™ cannot be exchanged for cash at any point of time. These DriveStars™ may only be redeemed for fuel or e – gift vouchers or any other benefits as per the terms and conditions of the DriveTrack Plus®card program. Members cannot transfer, sell or assign DriveStars™ or benefits to any other entity in violation of program rules. HPCL will be free to take any action as it may deem fit in such cases. In case of electronic gift voucher, EGV redemption, EGV will be delivered to the member's email address as per records available in the Drive Track Plus web site. HPCL reserves the right to add, change or cancel any redemption option / terms and conditions without prior notice at any point of time. HPCL also reserves the right to cancel any redemption request on suitable grounds (like improper and incomplete address or product unavailability etc.). DriveStars™ will be credited back to the members CCMS account within a reasonable period. In case of Fuel redemption, the customer can redeem full or part of available DriveStars™ (subject to terms and conditions). The equivalent value of DriveStars™ will be credited to his CCMS account. There can be only one redemption request placed at a time. Any member wishing to avail EFT facility needs to map his/her customer ID and control card number after which transactions can be done. Mapping is done on daily basis, in case any issue faced by Customer , he/she can get in touch with the concerned HPCL Marketing Officer for mapping. The member can get in touch with his/her bank for terms and conditions of EFT. HPCL reserves the right to interpret the program rules at its sole discretion. The program rules can be changed, modified or deleted by HPCL at its sole discretion, with or without notice, even though changes may affect the value of DriveStars™ or rewards already accumulated. HPCL may increase or decrease the number of DriveStars™ required to claim a reward, or limit the number of participating outlets for a particular reward. A number of services and benefits are available to the members of DriveTrack Plus®fleet card program. These services and benefits are offered solely at the discretion of HPCL and are subjected to change time to time. The DriveTrack Plus®program rules do not constitute a contractual relationship between HPCL and the members. The DriveTrack Plus®program rules cannot be construed as establishing an agency, partnership or joint venture between HPCL and the members. HPCL expects every member to be knowledgeable about the program rules and the number of DriveStars™ in his or her account. Members will be advised on matters of interest, including notification of program changes and sale/purchase statements from time to time. In case of cancellation of the card/membership, no amount is refundable. Terms and conditions of the DriveTrack Plus® Program are governed by the laws of the Republic of India and will be restricted to the Mumbai jurisdiction under the Mumbai Court. 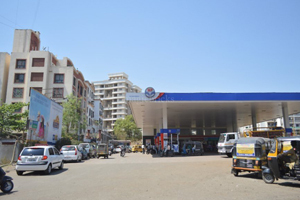 For the purpose of this Web Site, HPCL stands for Hindustan Petroleum Corporation Limited having its registered office at Petroleum House, 17, Jamshedji Tata Road, Mumbai - 400020, Maharastra, India. HPCL has tried to ensure that all data and information provided through this Web Site is correct at the time it was included. Updating of data and information is done only periodically at HPCL's sole discretion. HPCL does not guarantee the completeness, accuracy and timeliness of these data and information. HPCL makes no representation or warranty of any kind, express, implied or statutory regarding this Web Site and/or the data and information contained or referred to on each page associated with this Web Site. The material and information contained on this Web Site is provided for general information only and should not be used as a basis for making business decisions and use. All such information, software, products, services and related graphics are provided on an "as is" basis without warranty of any kind. HPCL and/or its respective suppliers hereby disclaim all warranties and conditions with regard to this information, software, products, services and related graphics including all implied warranties and conditions of merchantability, fitness for a particular purpose, title and non-infringement. Any advice or information received via this Web Site should not be relied upon without consulting primary or more accurate or more up-to-date sources of information or specific professional advice. Geographic, political, economic, statistical and financial data is presented in certain cases in approximate or summary or simplified form and may change over time. HPCL has also placed reliance on certain external statistical data, which though believed to be correct, may not in fact be correct or accurate. HPCL accepts no liability and will not be liable for any loss or damage arising directly or indirectly from action taken, or not taken, in reliance on material or information contained on this Web Site. 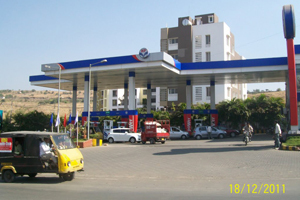 HPCL accepts no liability and will not be liable for any loss or damage arising directly or indirectly (including general, special, direct, indirect, incidental, exemplary or consequential loss or damage) from the use of this Web Site, however arising and including any loss, damage or expense arising from, but not limited to any defect, error, imperfection, fault, mistake or inaccuracy with this Web Site, its contents or associated services or due to any unavailability of the Web Site or any part thereof or any contents or any associated services. HPCL shall not have any liability to a user or to others for any lost profits or indirect, special, punitive or exemplary damages, even if advised in advance of the possibility of such damages. Hyperlinks, if any, from this Web Site exist for information purposes and are for your convenience only and HPCL accepts no liability for any loss or damage arising directly or indirectly (including consequential loss) from the accuracy or otherwise of data or information contained on the pages of such sites or loss arising directly or indirectly from defects with such sites. HPCL's inclusion of hyperlinks does not imply any endorsement of the material on such sites. HPCL reserves the right to not respond to any e-mails received by HPCL through their Web Site. HPCL does not warrant the privacy and/or security of e-mails during internet transmission. HPCL reserves the right in its discretion to change or discontinue, without prior warning or notice, any information or material contained on this Web Site and the terms and conditions under which this Web Site is used. Any information and data relating to the users of this Web Site collected and received by HPCL from time to time, may be used and disclosed for such purposes and to such persons as may be found necessary by HPCL at its sole discretion. Any downloading from this Web Site is at the sole risk of the user. HPCL does not accept any liability and will not be held liable for any loss or damage caused directly or indirectly as a result of such usage. The HPCL name and logo are registered trade marks of HPCL. No license, express or implied, is hereby granted regarding any intellectual property of HPCL. The copyright in the material on this Web Site belongs to HPCL and may be copied and used only for personal and non-commercial purposes (except as previously authorised in writing by HPCL). The use of or access to this Web Site, downloads from it and any issue arising out of or in relation to the Web Site as well as the operation of these terms and conditions, shall be governed in accordance with the laws of the Republic of India without regard to the conflict of law provisions. Without prejudice to the same, the Courts in the City of Mumbai, India shall alone have jurisdiction covering all or any matters governing the relationship between any third party and HPCL, or any alleged claim or thing in connection with, relating to or arising out of the use or access of this web site. As a general rule, this website does not collect Personal Information about you when you visit the site automatically. You can generally visit the site without revealing Personal Information, unless you choose to provide such information. If the HPCL DriveTrack Plus website requests you to provide personal information, adequate security measures will be taken to protect your personal information. Your email address will only be recorded if you choose to send a message. (For example, Know more about DriveTrack Plus) It will only be used for the purpose for which you have provided it and will not be added to a mailing list. Your email address will not be used for any other purpose, and will not be disclosed, without your consent. If HPCL DriveTrack Plus website requests you for any other Personal Information you will be informed how it will be used if you choose to give it. If at any time you believe the principles referred to in this privacy statement have not been followed, or have any other comments on these principles, please notify the webmaster through the contact us page. We are committed to ensure that Hindustan Petroleum Corporation Limited website is accessible to all users irrespective of device in use, technology or ability. It has been built, with an aim, to provide maximum accessibility and usability to its visitors. As a result this website can be viewed from a variety of devices such as Desktop / Laptop computers, web-enabled mobile devices; wap phones; PDAs, etc. HPCL is working towards making its website accessible for persons with disabilities, however currently the Portable Document Format (PDF) and Microsoft Word (.doc) files are not accessible. Information displayed using iframes on the "Share Price" and related pages is fetched from an external source and currently this content is not completely accessible. If you face any problem in accessing the information displayed on these pages, please write to us and our support team will be happy to help. The Hindustan Petroleum Corporation Limited is committed to make its website accessible to people with disabilities. In its effort to make the website accessible, HPCL has incorporated different features which will make it easier for users to browse the website. Accessibility Options: Options to change the size of the text and set a contrast scheme are provided. Text size: The size of the text on the Web pages can be changed either through the browser or by clicking on the text sizing icons present at the top of each page. Skip to Main Content: Quick access to the core content of the page is provided for keyboard and screen reader users without requiring them to go through repetitive navigation links. Descriptive Link Text: Brief description of a link is provided using clear and descriptive phrases instead of just using words such as 'Read more' and 'Click here' as link text. Further, if a link opens a Website in a new window, the description specifies the same. caption and summary: Table captions are specified that act as labels, which indicate what data is provided in the table. In addition summary is specified to provide description for screen reader users to enable them understand the table information easily. titles: An appropriate name for each Web page is specified that helps users especially screen reader users to understand the page content easily. Press the Tab key to navigate to the drop-down menu options, such as About Us, Products & Services, Press & Media etc. Press Enter to Show/Hide the drop-down menu options and press the Tab key. Along with Tab key, screen reader user can also access the drop-down menu options using the arrow keys. Further press the Enter key to activate the required option. Keyboard support for navigating across the website: Interactive elements of the website, such as links and forms can be browsed using a keyboard by pressing the Tab and Shift + Tab keys. Form instructions: Clear and easy to understand instructions are provided to help users fill up the form details successfully. Clear and Unique form labels: Each form field, such as text boxes, radio button group, check boxes etc have been assigned form labels to help users identify the purpose of the same. Descriptive error messages: In case of errors that occur while filling up a form, users are informed about errors using descriptive messages to help them rectify them and complete the form. Changing the contrast scheme refers to applying a suitable background and text color that ensures clear readability. The website includes two options to change the contrast scheme. This website is designed, developed and maintained by Hindustan Petroleum Corporation Limited (HPCL), Government of India. The information posted on this website could include hypertext links or pointers to information created and maintained by non-Government/private organisations.HPCL is providing these links and pointers solely for your information and convenience. When you select a link to an outside website, you are leaving the HPCL website and are subject to the privacy and security policies of the owners/sponsors of the outside website. HPCL does not guarantee the availability of such linked pages at all times. In addition, at many places in this website, you shall find links to other websites (external links). These external links have been placed for your convenience.HPCL is not responsible for the contents and reliability of the linked websites and does not necessarily endorse the views expressed in them. We cannot guarantee that these links will work all the time and we have no control over availability of linked pages. HP Re-Fuel Card is a convenient payment card for fuel management. This card program is operated by Hindustan Petroleum Corporation Limited (HPCL). “Member” means an individual vehicle owner, who becomes a member of HP Re-Fuel Card Program on approval after enrolment. Members of HP Re-Fuel rewards program earn “Drivestars” reward points on their fuel and lubes purchases. HP Re-Fuel is a property of HPCL. HPCL reserves the rights and authority related to usage of the trademark and the card program. Unauthorized use of this trademark is strictly prohibited. T & Cs are liable to change without prior notice. Any individual vehicle owner can enrol into the HP Re-Fuel Card program. Enrolment fee is Rs. 100 per card. Customer will receive Rs. 50 worth of Drivestars back in his account on enrolment. Any individual designated by the member for using the HP Re-Fuel Card must be above 18 years of age. 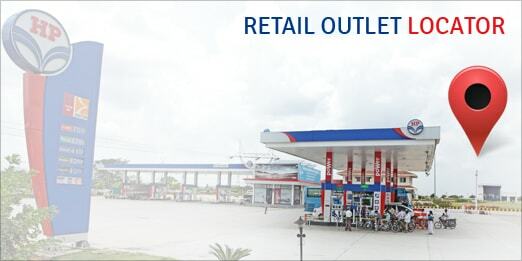 The HP Re-Fuel card can be used for the purchase of products and services available at participating HPCL fuel outlets. The application form will be invalid if it is incomplete or unsigned. Membership to the HP Re-Fuel program is at the sole discretion of HPCL. Applicants will receive their HP Re-Fuel cards in 21 working days from date of submission of completed application form. All cards come with a PIN security feature which is activated on the first time usage. The loss of the card should be immediately reported to the customer care centre which will arrange to hotlist the card with in 48 Hrs. However, HPCL will not be liable for any misuse whatsoever during the interim period. Any liability arising out of card loss, misuse or out of sharing User Card PIN, Control Card PIN or weblogin password consciously or otherwise, would render the member liable for all the losses. All communication will be mailed to the member’s registered address as per record given at the time of enrollment in the HP Re-Fuel program. Registered address can be the mailing address as given in the application format the time of enrollment for HP Re-Fuel cards or to the address conveyed by the member from time to time as per standard procedure of change of address. Members are advised to keep their contact details updated. HP Re-Fuel card membership is valid for 6 years from the date of enrolment. Renewal of membership to the program is at the sole discretion of HPCL. HP Re-Fuel Program will be in operation till such time as HPCL decides to terminate the program at anytime, with or without notice. The HP Re-Fuel card can be used only for the purchase of products/items activated on the card. HPCL reserves the right to grant or refuse member to HP Re-Fuel card program. Customers with attached vehicles shall indemnify HPCL against any claim of whatsoever nature raised by the owners of the vehicle. Amount loaded in user card can be used to purchase fuel at participating HPCL petrol pumps. A central account for Central Cash Management System (CCMS) is provided to member for online management of fund. The CCMS account can be recharged by various modes like NEFT, RTGS, IMPS etc. The currency of the reward program is called DriveStarsTM. DriveStarsTM will be earned as per program rules, which can change at any time on sole discretion of HPCL. DriveStarsTM can be redeemed for rewards in accordance of terms and conditions of the program. DriveStarsTMwill be valid for 3 years from the quarter of earning. DriveStarsTM earned on any number of user cards owned by the corporate (one customer ID) will be clubbed. DriveStarsTM can be redeemed for rewards only by the member or an authorized representative of the member. DriveStarsTM cannot be exchanged for cash at any point of time. These DriveStarsTM may only be redeemed for fuel or gifts or any other benefits as per the terms and conditions of the HP Re-Fuel card program. DriveStarsTM will be credited on daily basis on purchases made by using HP Re-Fuel Card. Members cannot transfer, sell or assign DriveStarsTM or benefits to any other entity in violation of program rules. HPCL will be free to take any action as it may deem fit in such cases. In case of gift redemption, the gift will be delivered to the member’s address as confirmed at the time of redemption application. The gift will be delivered to the member within a reasonable time. In case of gifts not delivered or can not be delivered for any reason whatsoever, the DriveStarsTM will be credited back to the member’s CCMS account within a reasonable time. HPCL reserves the right to add, change or cancel any redemption option / terms and conditions without prior notice at any point of time. HPCL also reserves the right to cancel any redemption request on suitable grounds (like improper and incomplete address or product unavailability etc.). DriveStarsTM will be credited back to the member’s CCMS account within a reasonable period. Gifts are subject to availability and can change from time to time. Gifts and DriveStarsTM required for these gift items are subject to change from time to time, without prior notice. For latest copy of catalogue, the member can log into his CCMS account at www.drivetrackplus.com. HPCL will not be responsible for the performance of any of the gifts and is also not responsible for any loss/ injury/ expense arising out of the usage of the gifts. 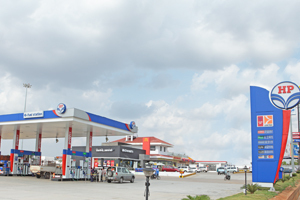 In case of Fuel redemption, the customer can redeem full or part of available DriveStarsTM (subject to terms and conditions). The equivalent value of DriveStarsTM will be credited to his CCMS account. The program rules can be changed, modified or deleted by HPCL at its sole discretion, with or without notice, even though changes may affect the value of DriveStarsTM or rewards already accumulated. 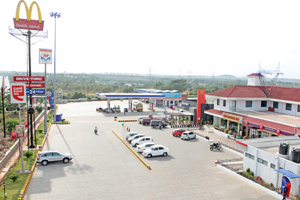 HPCL may increase or decrease the number of DriveStarsTM required to claim a reward, or limit the number of participating outlets for a particular reward. A number of services and benefits are available to the members of HP Re-Fuel card program. These services and benefits are offered solely at the discretion of HPCL and are subjected to change time to time. The HP Re-Fuel program rules do not constitute a contractual relationship between HPCL and the members. The HP Re-Fuel program rules cannot be construed as establishing an agency, partnership or joint venture between HPCL and the members. HPCL expects every member to be knowledgeable about the program rules and the number of DriveStarsTM in his or her account. Members will be advised on matters of interest, including notification of program changes and sale/purchase statements from time to time. Terms and conditions of theHP Re-Fuel Program are governed by the laws of the Republic of India and will be restricted to the Mumbai jurisdiction under the Mumbai Court. DriveTrack Plus® is a powerful prepaid card that provides complete fleet management solution to our customers. It offers the fleet operators an unbeatable combination of control, convenience, security and attractive reward points. This innovative payment device is designed for efficient management of fleet through greater control over fuel consumption and operating costs. DriveTrack Plus® also offers fuel management and gifting solution to corporate and bulk buyers of fuel. DriveTrack Plus® card can be used for purchase of fuel and lubricants at participating HPCL petrol pumps spread across the length and breadth of the country. List of HPCL petrol pumps accepting DriveTrack Plus® cards can be obtained by logging in to www.drivetrackplus.com or by calling our 24x7 call centre number 1800-10-39811. In order to provide both flexibility and security, we provide our customers with two types of cards, viz., one customer specific Control Card for managing the CCMS account and a User Card for managing fuel requirement of vehicles. These cards are PIN protected to ensure authorized usage, only by bonafide customers. Each customer gets one Control Card which gives access to Central Cash Management system (CCMS). CCMS is the central loyalty account of the customer, which is used for managing flow of funds by the customer for reloading different User Cards (described later). Customer can use his/her Control Card number and control PIN for transactions like recharging CCMS account, CCMS balance enquiry, redemption request, enquiry for DriveStars™ at any participating HPCL retail outlet. Fleet customer gets a User card for each of the vehicles applied for. Each User Card is vehicle specific and is personalized with the vehicle number printed on it. Customer has an option to get generic cards, however with certain conditions. However, in case of corporate customers, the user card can have the name of the user on it. For customer with attached vehicles, the card will be generic without being vehicle specific. The User Card carries an e-purse on it which can be loaded with money drawn from CCMS for future purchase of fuel and lubes. The User Card can be used for transactions like sale, cash reload, balance transfer, balance enquiry,vehicle tracking etc. The cards have a PIN based security feature. Hence, only authorized users shall be able to carry out transactions using the cards. In order to provide better security and control on transactions, the Control Card has a separate PIN (enclosed within). The PIN can be seen by logging into www.drivetrackplus.com. It is the sole responsibility of the customer to ensure that PIN/Passwords/Web Log-In etc. are used by authorized/bonafide users only and must be kept safely with appropriate authority. The Control Card / User Card gets blocked when wrong PIN is entered three times continuously. In case the card gets blocked, please contact our customer care centre for unblocking the card. A central cash management system (CCMS) uses a central account for all cash transactions of the User Cards. All the User Cards are linked to this account. The individual User Cards can reload money from the CCMS account based on limits assigned to them. Moreover, if customer feels that some money is lying unused in a User Card, the money can be transferred from the User Card to the customer's CCMS account using the Balance Transfer function at the EDC terminal at any participating HPCL petrol pump. Money loaded in CCMS account is available for reload on any other User cards, as explained previously. Through EFT to the mapped CCMS account (Details of EFT given later). Limits can be set by the customer for any/all user cards by logging into www.drivetrackplus.com or by sending a sms. Various User Card Allocation Limits available are Unlimited (default setting), Daily Reload Limit and One Time Reload Limit. Customer has to choose as per his/her convenience. For Corporate customers, Monthly Limit and One Time Limit options are available. Only 'one-time limit' can be set once for setting limit of gift cards by the customer. Freshly issued user cards need to be activated before using them for any transaction. To activate any User Card, the customer has to visit the nearest participating HPCL petrol pump and securely change the default PIN (0000) to a new PIN (any 4-digit number) through a terminal operation. CCMS Reload: The transaction limit for any user card can be set through the DriveTrack Plus® website. Once the limit for a user card is set, the holder of user card can do a simple CCMS reload transaction at EDC terminal of any participating HPCL petrol pump. This will enable the amount to get loaded into that user card, which the user card can use. Such limit also can be set by a sending a simple SMS (explained later). Cash Reload: By depositing cash at any participating HPCL petrol pump and the petrol pump attendant will load the User Card with the amount deposited. future purchases of products at participating HPCL petrol pumps across the country. * Cash reload is not applicable for corporate customers, Customers with attached vehicles etc. It may change time to time. * Corporate customer will set limit (periodically for cards for continuous usage and once for gift cards) to allocate fund to each end-user The end-user must ensure that the allocated fund is pulled from their CCMS account to the user cards within the validity of the limit set, by CCMS Reload or through CCMS Sale option. Cash purse limit of User Card is Rs. 50,000.00 only. Purchases can be done with the User Cards only. Visit any participating HPCL petrol pump with User Card. The User Card needs to be loaded (if it does not have sufficient balance in it) through a reload transaction (as explained earlier). When prompted, user has to enter PIN. Upon successful authorization of PIN, sales transaction takes place. All sale transactions would have to be authorized by the card holder by entering his/her PIN as and when prompted by the EDC terminal. The PIN must be kept secured. In case some surplus amount is lying in any User card, customer can transfer the amount from the User Card to his/her CCMS account which can be utilized to reload any other User card. â€¢ Visit any participating HPCL petrol pump with the User Card, which has excess balance. â€¢ Request for amount transfer from any User Card to customer's CCMS account. â€¢ The balance transfer will be done by a simple EDC terminal transaction. â€¢ Charge slip gets generated which will be retained. Using balance transfer, customer can carry out optimum utilization of his/her working capital so that money doesn't lie idle in any user card. For further details on card transactions please visit the FAQ section on our website. Reward points awarded in DriveTrack Plus® program are called DriveStars™. Membership of DriveTrack Plus® program entitles the member the right to earn DriveStars™, which can be redeemed for rewards. Members will earn DriveStars™ on fuel and lubricant purchases carried out using DriveTrack Plus® card at participating HPCL petrol pumps basis applicable slabs. The points earned for purchases for all cards will be clubbed and credited to customer's rewards pool as DriveStars™. NOTE: DriveStars™ earned are valid for a period of 3 years. â€¢ By logging into www.drivetrackplus.com using customer's User ID and password. â€¢ Through MIS reports available in the website or being sent quarterly. â€¢ At the EDC terminal at any of the participating HPCL petrol pumps using the Control Card. A minimum of 25000 DriveStars™ can be redeemed at a time. For redeeming more than 25000 DriveStars™ at a time, the number of DriveStars™ is to be redeemed should be in multiples of 5000. The DriveStars™ can be redeemed against fuel or lubes and also on gift items consisting of electronic / apparel / lifestyle items etc. The DriveStars™ shall be redeemed to the nearest rupee value. The call centre can be contacted for details. â€¢ Register request by logging in to www.drivetrackplus.com (for fuel and gift redemption). Customer can get the information on all fuel purchases done using User Cards immediately (immediately for online transactions and after settlement for offline transactions) after the transactions. Such report can be downloaded by select the card number and the desired period (maximum any 31 days) and customer can get all the details like vehicle number, quantity of fuel purchased and price, odometer reading, distance traveled, DriveStars™ earned etc. Customer can also view the consolidated transaction details of the entire fleet on the website. A quarterly statement is also mailed at the address provided in the application form. For information on how to read MIS report, the FAQ section of our website can be visited or our customer care can be contacted. DriveTrack Plus® offers an unmatched advantage to track a vehicle's real time movement. All the driver has to do is to present the user card at the participating HPCL petrol pump to carry out a tracking transaction irrespective of whether he does any other transaction or not. This information is captured and immediately updated on our website. Customer can access this information by logging on our website (through Vehicle Tracking option) or through the toll free customer care number. Every DriveTrack Plus® card comes with a free Accidental Death Insurance* cover of Rs 1 lakh each for driver and helper of the vehicle for which the card has been issued. The policy covers the driver and helper whosoever is driving the vehicle, provided that DriveTrack Plus® card was active in previous month. However, the information must be given immediately to the concerned HPCL Marketing Officer after the unfortunate occurrence. For detailed claim procedure in this regard, please visit program website or contact local HPCL Marketing Officer. * Conditions apply. Applicable for customers with vehicle specific cards. As an added feature, we have introduced SMS facility to inform our customers about the transactions taking place at our retail outlets by their cards. When the DriveTrack Plus® card is dispatched, the customer will receive an sms informing the date of dispatch as well as the AWB no. and name of the courier. Once the card starts transacting, customer will start receiving status of sale, reload, CCMS reload, CCMS recharge, control PIN change, balance transfer, tracking, offline sale, EFT recharge, user card unblocking, redemption request, credit of DriveStars™ and many more. Customer can check the current CCMS Balance (by typing 'CCMSBAL') as well as DriveStars™ (reward points) available (by typing 'PTSAVAIL') in the DriveTrack Plus® account. The sms needs to be sent to 9222232255. Customer can even send an sms to 9222232255 through customer's registered mobile number(by typing to set limit once on the user card and the user card holder can do a CCMS reload transaction on the EDC at any participating HPCL outlet. Certain sms facilities will not be applicable for corporate customers. The customer has a facility to choose the SMS he/she wishes to receive by logging into the DriveTrack Plus® website. Conditions apply. "Pump Locator", available on www.drivetrackplus.com, enables to search for DriveTrack Plus® outlets in any City/District/Highway etc. Each outlet is represented by a balloon in the map. By clicking on the balloon, one can get the address and contact details of the pump. HPCL has value added facilities like ATM, Dhaba etc. located at many pumps. The search options to pumps are on the basis of one or more search criteria i.e DriveTrack Plus® pumps with ATM, DriveTrack Plus® pumps with Dhaba etc. While the default setting of the search function is pumps with DriveTrack Plus® terminals, there is also an option to see all pumps by selecting option - all pumps. EFT (Electronic Fund Transfer) transaction is a seamless and hassle free transaction to recharge CCMS account online without visiting any petrol pump. Customer can do it at his/her own convenience and time. The CCMS account will get credited on the same day for RTGS and in the very next day for NEFT, though time may vary for NEFT and RTGS and is as per banking procedures. Customer can load money on user cards from CCMS account afterwards by setting limits. In order to use the facility, the customer has to be registered. To be registered, a written request to our concerned HPCL Marketing Officer needs to be given. Once the registration is through, our concerned marketing officer will confirm the customer the virtual account number along with other relevant details. After the confirmation is received, the customer can add HPCL Drive Track as a beneficiary online (if one has online banking facility). Once the bank of the customer adds this account as a beneficiary, customer will receive a confirmation from them. Then, the EFT can start from the customer's account to his/her mapped CCMS account. The customer can also advise his/her local branch for doing the EFT providing them the details. Customers who use EFT mode of payment for CCMS recharge may get additional DriveStars™. Further details can be obtained by contacting the concerned HPCL's Marketing Officer. One requires a web login user ID and password each time he/she needs to use his/her online account for any transaction. The web login and password are provided with this mailer. â€¢ Tracking the vehicle's movement through our web based tracking system. â€¢ Viewing individual card wise as well as consolidated transactions. â€¢ Available DriveStars™ and redemption report. It is the responsibility of customer to keep the password and user ID safely with him/her. These must not be disclosed to anybody. HPCL will not be responsible for any fraudulent transaction resulting out of such practice. All these features and many more are just a click away on our website www.drivetrackplus.com . If customer requires additional DriveTrack Plus® cards, an application form for additional cards available at the participating petrol pumps or with HPCL Marketing Officers, can be filled in and sent across to the concerned HPCL Marketing Officer along with the fee of Rs. 50/- for every additional card. Alternatively, a request can be placed by calling our customer care centre at 1800-10-39811 for our representative to contact. DriveTrack Plus® card is valid for a period of 3 years from the date of issuance. However, in case a card expires with balance on it, remaining balance on card will be transferred to replacement card. For further information or query on the DriveTrack Plus® card, our 24 hours toll free customer care centre 1800-10-39811 can be contacted or our website, www.drivetrackplus.com can be visited. © 2016, HPCL. All rights reserved.